Well, here we are. Our statesmen/stateswomen/politicians previously specialized in Trump-whispering—talking sweetly to an American president who at first seemed susceptible to such cooing. But now, enough with the sweet talk. They have decided to respond to the American tariffs on aluminum and steel with tariffs of our own. As an economist, I feel I can say something about how doing so will affect Canadian prices and output, as well as our imports from the United States. But I don’t think anyone can predict with any confidence what effect it will have on the Trump administration. We’re all amateur psychologists and so we all have our theories. But I’m betting even professional mind-readers are at a loss in this instance—and the Goldwater Rule of the American Psychiatric Association says they shouldn’t analyze people they have had no personal clinical contact with. 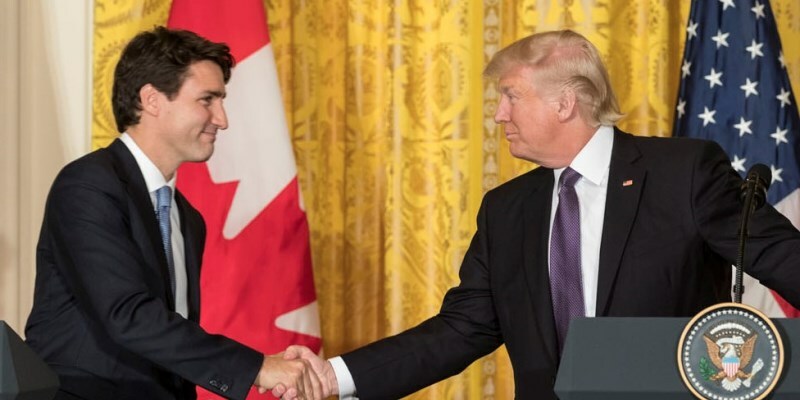 One good thing about the way Ottawa is retaliating is that before finalizing our tariffs on a select group of American goods its sounding Canadian opinion about potential consequences in this country. That’s good. The government clearly recognizes that tariffs hurt Canadians, mainly Canadian consumers but also Canadian producers when they rely on imported inputs. Tariffs also hurt American suppliers, of course, assuming those suppliers can’t find alternative markets. But the certain damage is in this country. We’ve been making that argument in the U.S.—that their tariffs on our goods mainly hurt U.S. consumers and producers—and the situation is largely symmetric. The only reason I mention all this is that in many, if not most, public discussions about trade the implicit assumption usually seems to be that supporting domestic producers is a costless undertaking with only positives effects for all Canadians. It isn’t. Reducing our choices and raising the costs of the choices that remain hurts us. What will you give up to help in the Great Patriotic Trade War? (“Ask not what your strawberry jam can do for you. Ask what you and your strawberry jam together can do for the country!”) The list of possible tariff targets Finance has produced is fascinating in at least two ways. First, in the immense detail that the Harmonized Commodity Description and Coding System provides for. For instance Finance’s target list includes several “8-digit” items “Prepared meals: Of spent fowl; Specially defined mixtures” (HCDCS item number 1602.32.11) and “Liquorice candy; Toffee” (item 1704.90.20), as well as “Strawberry jam,” (2007.99.10). There are also some 4-digit items, for example: “Bars and rods of iron or non-alloy steel, not further worked than forged, hot-rolled, hot-drawn or hot-extruded, but including those twisted after rolling” (72.14). I used to tell my students in international trade that if they had a taste for distinction-making, they too could work for the HCDCS, which is overseen by the World Customs Organization, which is headquartered in Brussels. A second source of fascination lies in the tactical thinking behind the target list. News reports suggest several items have been chosen with specific politicians and congressional seats in mind. Our whisky tariffs (2208.30) presumably will hit Senate Majority Leader Mitch McConnell’s Kentucky, which produces bourbon, while the EU has targeted motorcycles in an attempt to influence House Speaker Paul Ryan, whose home state of Wisconsin produces Harley-Davidsons. We also go after a number of goods produced mainly in Wisconsin, presumably for the same reason. Smart tariff-bombing of this sort seems very high-tech. But there’s little doubt that McConnell and Ryan, two traditionalist Republican leaders, are already on board so far as a liberal international trading order is concerned. What’s at doubt is their ability to sway the president. They’ve been notably unsuccessful in doing so on a wide range of issues. There’s also the complication that Speaker Ryan is now a lame duck, having decided to leave politics when his term is up next January. In part, his departure is thought to be because he can’t much influence the president. Does turning the screws on him really help? We’re retaliating against American tariffs mainly because we feel no self-respecting country can take their provocation lying down. It’s at least possible Americans will respond to our attempts to force them to back down in exactly the same way, by deciding they have to stand up to us. Mutually assured—not destruction but depletion or degradation—does create the opportunity for both sides to back down and, as our prime minister said, allow common sense to prevail. But if common sense were in the saddle, we wouldn’t be in this situation in the first place.